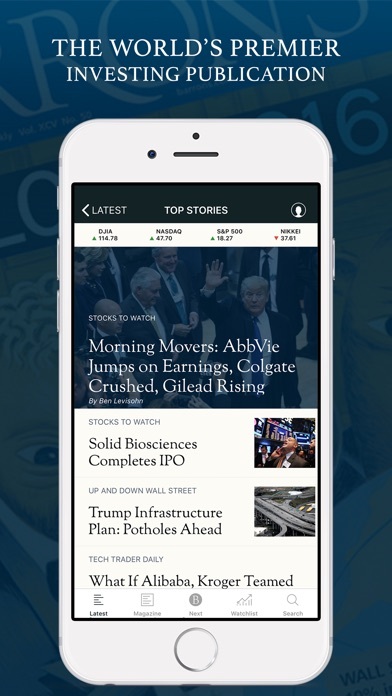 IOS App Developer: Dow Jones & Company, Inc., publisher of The Wall Street Journal. What kind of business acumen does it take to see that DJ sells subscriptions, not hardware? If the app is meant as value-added to my subscription, then an app incompatible with my device is actually a disincentive toward renewal. D(J)uuuh. Older IPads cut off from Barron's!!! 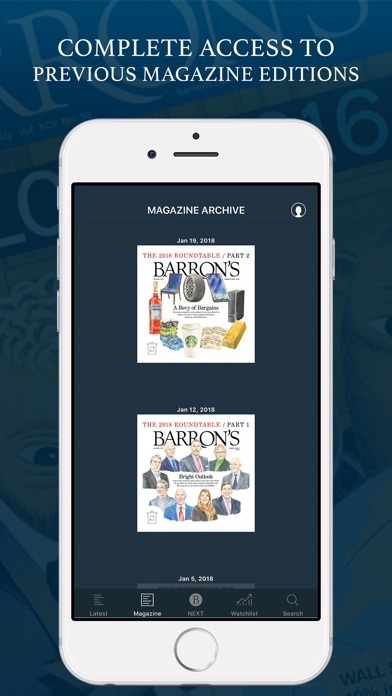 Can't believe the smart people at Barron's would be so dumb to make a new app that does not work on IPads with prior operating system...and will not allow previous app to be used. I just cancelled my subscription. 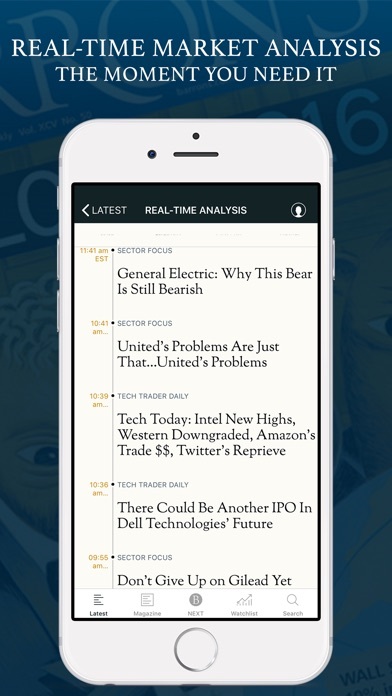 News is old and doesn’t update quick enough. 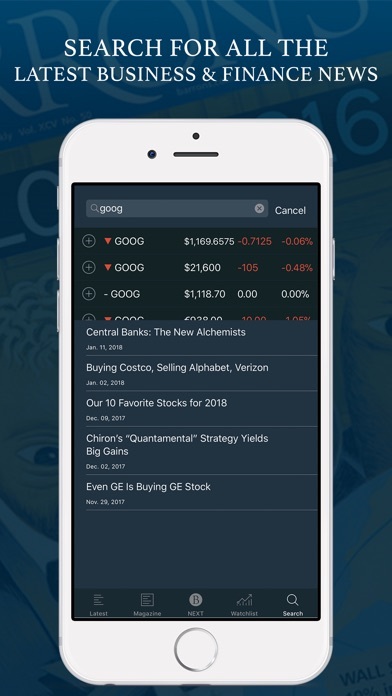 All the same news is available on many other apps for free. Don’t waste your money on this. Pages often do not advance correctly. Ad bloat and the requirement that each ad must download is awful. Don.t be fooled by the 4.7 rating. Re-sort for most recent reviews and you will see that there is hardly a positive review in the last year. Did I mention that the app also crashes often. 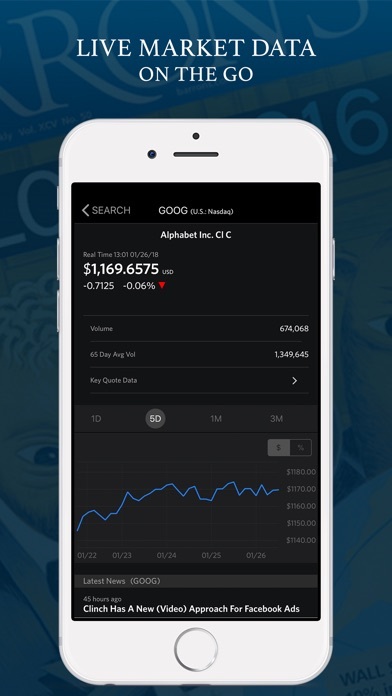 More IOS Apps by Dow Jones & Company, Inc., publisher of The Wall Street Journal.